The European League of Legends Pro-league, the EU LCS, is formed of 10 teams, all originating from Europe. 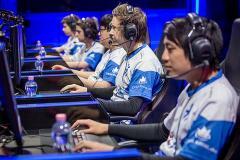 The EU LCS has 3 chances for the competing teams to earn a place at the LoL World Championship. The top teams at the end of the summer split, which is a 9 week long double round robin; have to face off in the LCS Summer Playoffs to see who gets the first seed. The second seed is given to the team with the most Championship Points at the end of LCS Season 5 and the final third seed is given to the team that manages to place 1st in the LCS Regional Qualifiers aka the ‘gauntlet’. This feature will be taking a look at the 3 European teams that managed to battle their way through and earn their place at the LoL World Championship 2015. The 3 teams that qualified are Fnatic, who managed to win the playoffs, H2K Gaming who had the most Championship Points at the end of the season and the final team, Origen who took 1st in the Regionals tournament by scoring a 3:0 victory over Unicorns of Love in the Grand Finals of the tournament. 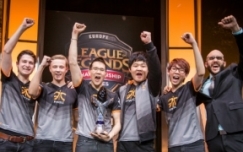 The first team that managed to qualify for the World Championship was Fnatic, with an outstanding season and a nearly undefeated split they managed to go 18-0 before losing a game in the playoff finals. This however did not stop them from taking the best of 5 victories over Origen and taking the 1st seed from EU to the World Championship. This gave them a total of 23 games played this season with 21wins and 2losses. They hold phenomenal win rate with outstanding performance. This all occurred after the loss of 2 superstar players Enrique “xPeke” Cedeño Martínez and Paul “SoaZ” Boyer before the start of LCS Season 5. They managed to pick up a few new players and bring in an old colleague Martin “Rekkles” Larsson, under the wings of the well-known Bora “YellowStar” Kim they’ve held an exceptional place in the European LCS and nearly took down SKT T1 in the semi-finals of MSI 2015. Fnatic really got the European League of Legends fans hyped for Worlds and we will see if they can take home the summoners cup once more. Achievements: 3rd place EU LCS Spring Round Robin, 3rd Place EU LCS Summer, 3rd place EU LCS Spring Playoffs. With a very difficult start and being accused of un-sportsman like behaviour H2K have had a rough time getting to where they are now. But having taken the 1st place in the 2014 Challenger Series playoffs during the summer they earned a place at the spring expansion tournament where they managed to defeat GIANTS Gaming to take a place at the EU LCS spring split. From there they’ve had a hard time against the top teams but have managed to hold a steady 3rd place in both spring and summer Playoffs with consistent play. Ending the EU LCS Summer split with a score of 11-7 and achieving the most Championship Points (besides Fantic who already qualified for winning the Summer Playoffs) they’ve shown that they deserve the 2rd European seed for the 2015 World Championship. Achievements: 1st place EU Challenger Series Spring Playoffs 2015, 2nd place EU LCS Summer Split 2015, 2nd place EU LCS Summer Playoffs 2015. 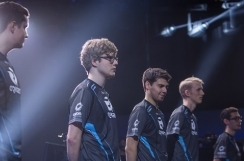 Origen, born from the ashes of old Fnatic, is a team comprised of ex-Fnatic stars along with a few other experienced and well regarded players. Having to fight their way from the bottom to the top certainly wasn’t easy. They started their team in 2015 and in just a few month’s they’ve already earned their place as a top European team along with a place at the World Championship. When they entered the Challenger series people weren’t sure what to expect however Origen knew their goals and they took the series by storm only losing 1 game. When they finally entered the LCS their earlier games had shown the other teams that they were a force to be reckoned with. With a 67% win-rate they had shown amazing dedication and improvement. Being the only team to take wins off of the powerhouse and previously undefeated Fnatic, Origen has proved that they are ready to compete at higher levels. How will the European teams fare at Worlds? Fnatic and Origen stand a much better chance than H2k, however H2k have an international and experienced mid laner that could help them prepare. Personally I don’t hold much hope for H2k so I’ll predict them not coming out of the group stage. Depending on which group they end up in, of course. If things go their way I could see them pushing for 9th-12th place but personally even with a bit of luck I don’t see them getting out of group stage. For Fnatic however it’s a different story, I think even in the more difficult groups they’ve shown enough skill to take on much stronger teams, possibly even making it to the championship finals. However the cynic inside of me wants to predict Fnatic ending 3/4th while Origen will be stuck between 5th/8th. EU LCS team overview by Addam ‘Canvas’ Burrows, English Literature and Journalism student of 2013. Diamond League Marksman. Contact Addam ‘ Canvas’ Burrows on Twitter!